Graphic Revelations is launching a BRAND NEW exciting category for printing specials: LOVE IT!… is it still considered ‘work’ when you LOVE doing it? This is our motto and we’ve decided to FLAUNT it. Keep watching this space for more LOVE IT! specials to come. 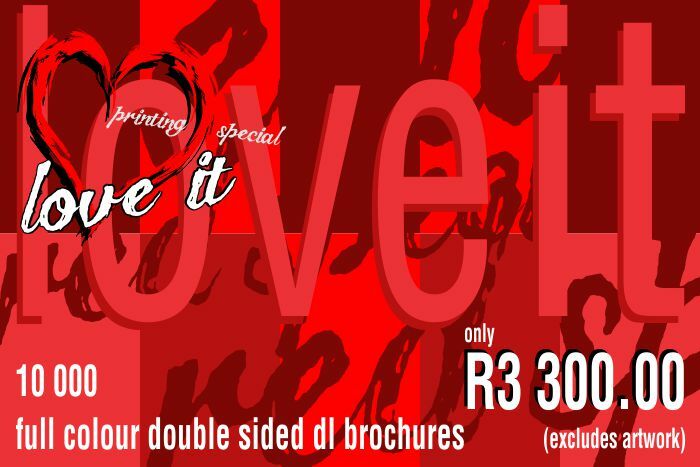 All LOVE IT specials will be full colour and double sided and because we LOVE IT, we’ll design ONE SIDE for FREE! don’t miss out, specials change all the time!